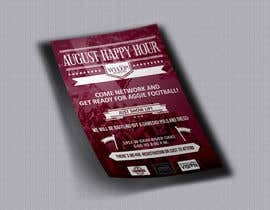 I need a graphic or flyer that depicts a happy hour for a group of working professionals in their 30s that are former students of Texas A&M University in Houston, Texas. 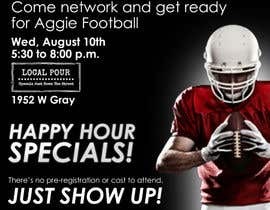 This happy hour is to kick off the pending football season. I’ve attached some rough mockups of what I had in mind via Power Point but by no means of what I’m expecting as I realize the graphics and lettering clash. I’m looking for your creative juice to make it MUCH better! Wh30p – Organization putting on the event. 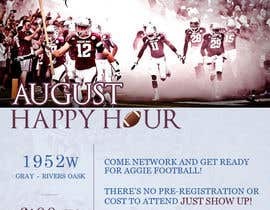 The purpose of the organization is to put on regular happy hours for it’s attendees to network. 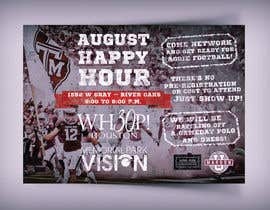 Memorial Park Vision – Title sponsor so logo should be as prominent as the Wh30P logo and can actually be more prominent. 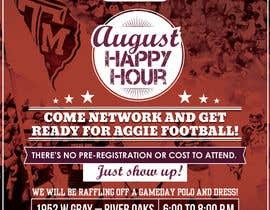 Maroon U – Secondary sponsor who donated the Gameday Polo and Dress that will be raffled off. Local Pour – Venue where the event will be held. 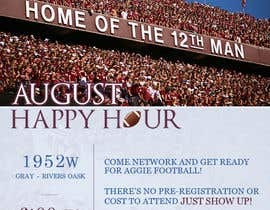 12th Man at Kyle - Graphic you can use as a backdrop if it works for you. What size do you need the flyer to be? I'm working on this. Please wait until the end of contest, thanks!